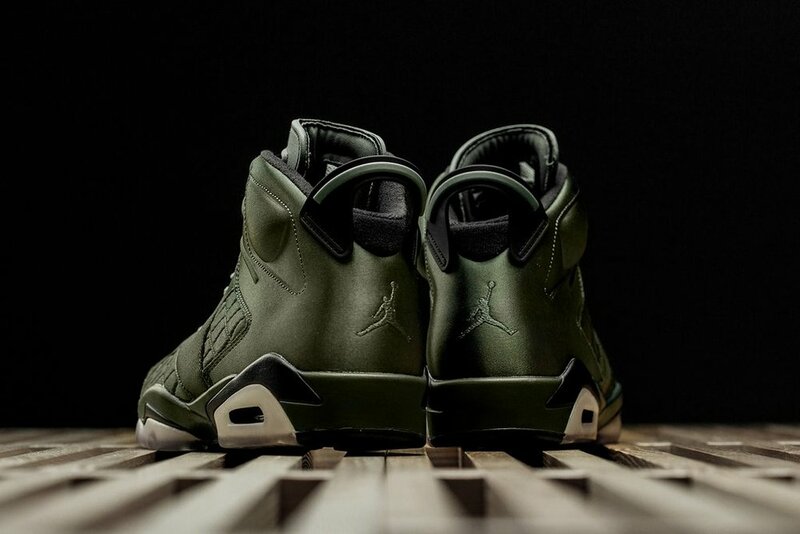 Air Jordan 6 Pinnacle "Saturday Night Live"
Jordan Brand unveils an exclusive Air Jordan 6 Pinnacle inspired by the Flight Jacket worn by MJ during his appearance on Saturday Night Live back in 1991. 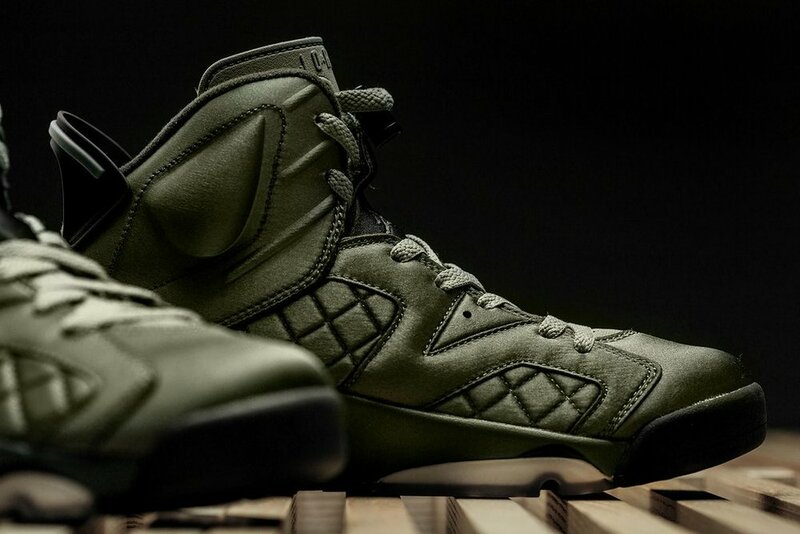 Dubbed the "Saturday Night Live" rendition, the latest iteration features a premium satin-like olive green hue throughout the upper, accented with black details around the toe, heel and collar. Quilted patterns appear at the sides, while a translucent outsole and air unit give the sneaker a touch of contrast. Additional details include a black lacelock, embroidered Jumpman on the lace guard and a brand new box design for a cohesive feel. Purchase your pair September 28 at selected retailers such as Feature.